This morning's hybrid solar eclipse was stunning. But, depending on where you are in the world, you may not have been able to see it at all: cloud cover may have messed with visibility or you might only have had a partial view. So, for anyone who missed it, this is what the eclipse looked like from Kenya. The top image is made from three exposures, all taken by Ben Curtis at Lake Oloidien near Naivasha in Kenya. The composite photograph shows the movement of the solar eclipse from right to left. A near-total blackout was visible from Kenya, although there was still a small sliver of the sun showing. 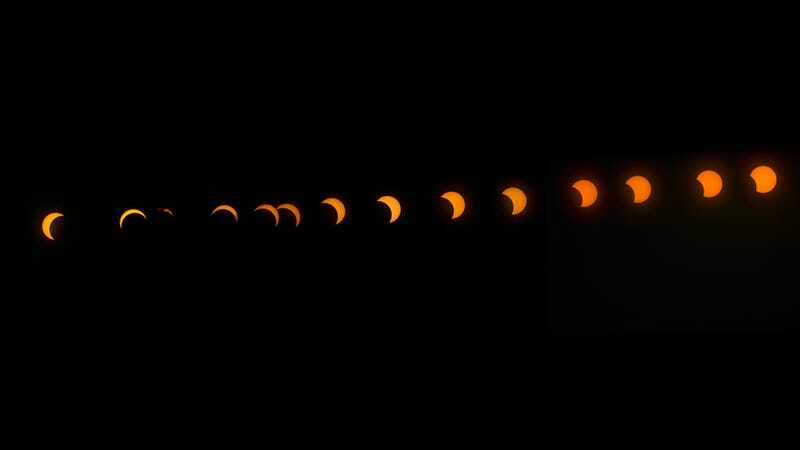 Update: This is a cool timelapse of the eclipse as seen from Key West, FL.